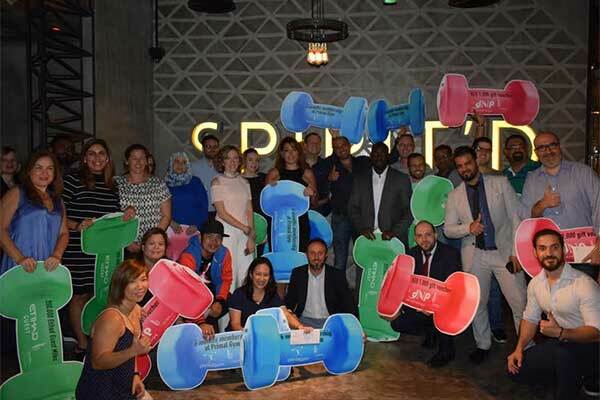 The Mall World Trade Center Abu Dhabi (WTCAD) has revealed the winners of its fitness competition in three categories (Weight Loss, Stronger and Fitter), with the finalists losing a total of 100 kg between them in six weeks. During the competition, over 200 men and women were invited to attend exercise classes three times a week by Primal Gym at Burj Mohammed Bin Rashid at WTCAD, and were offered extensive nutritional advice from Dr Nutrition, each battling to win the Biggest Winner crown. After weeks of intensive training, the finalists were decided by a full body composition test, which assessed their weight loss, Body Mass Index (BMI) and body fat loss. The Biggest Winners divided by categories were: Lara Abu Ata, Zena AbouSaid and Peter Mutizwa for (Weight Loss), Shelly Houston and Fadi Theodary for (Stronger) and Ruben Sharma for (Fitter). Examples of how the competition changed people’s lives was how Peter Mutizwa lost 9.7 kg, which equates to 4.3 per cent of his total body fat. All the finalists were aged between 32 and 46 and everyone improved their body mass index, which is a measure of body fat based on height and weight, with Nada Dana improving his by 2.6 points whilst Lara Abu Ata lost 3.7 per cent body fat. The Biggest Winners were awarded 300,000 Etihad Guest Miles from Etihad Airways. This one-of-a-kind prize gives its owner the choice to travel to exotic locations like LA, Sydney or Toronto or redeem exclusive gifts at the Etihad Reward Shop which includes the choice of electronics, fashion & accessories and much more.